I often write about my trips and experiences abroad, I often forget what great places we have right here in the U.S. 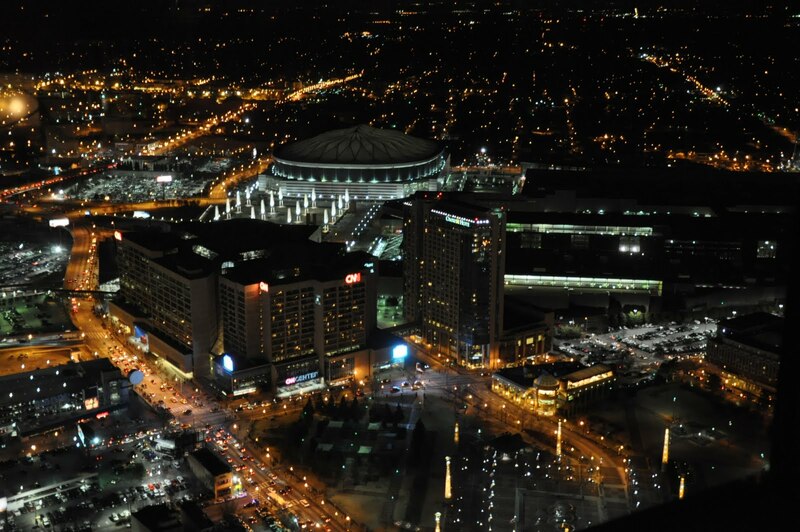 Recently I had an opportunity to spend a week in Atlanta on business. And I readily admit I don’t give Atlanta a fair shake. I have been to Atlanta many times, well actually I have passed through Atlanta many times. The majority of my experiences with Atlanta are because I am simply passing through. For road warriors as myself there are certain Airports you try to avoid, Chicago’s O’Hare, Dallas Fort Worth, John F. Kennedy, Los Angeles International; I could go on and on, Atlanta’s Hartsfield-Jackson is no different. It has been the world’s busiest airport by passenger traffic and number of landings and take-offs since 2005, serving 89 million passengers per year. It’s a big Airport and a pain to navigate. 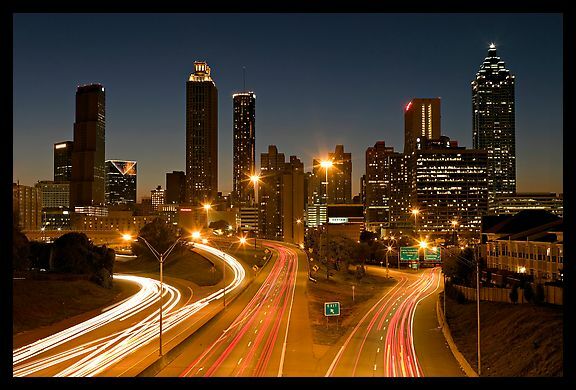 But once you get through the airport and out into the city of Atlanta, all your frustrations and worries seem to drift away. Don’t hold the airport against this beautiful, friendly city. 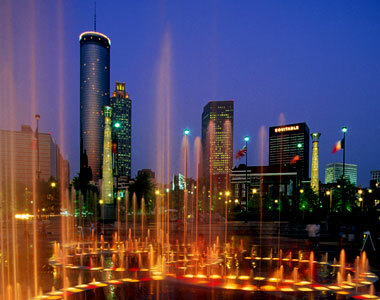 Atlanta is the vanguard of the New South, with the elegance and sophistication of the old. 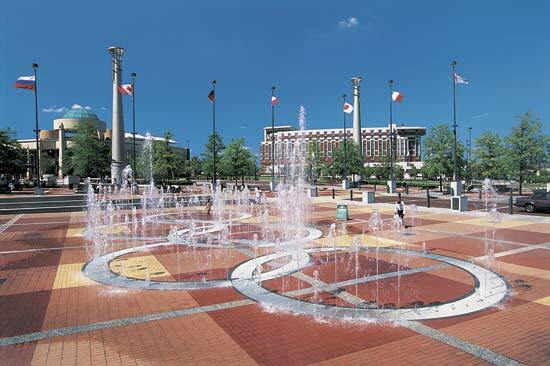 It is a city that balances southern traditions with sleek modernism. In Atlanta, the peach trees are plentiful and the tea is sweet, super sweet in fact. 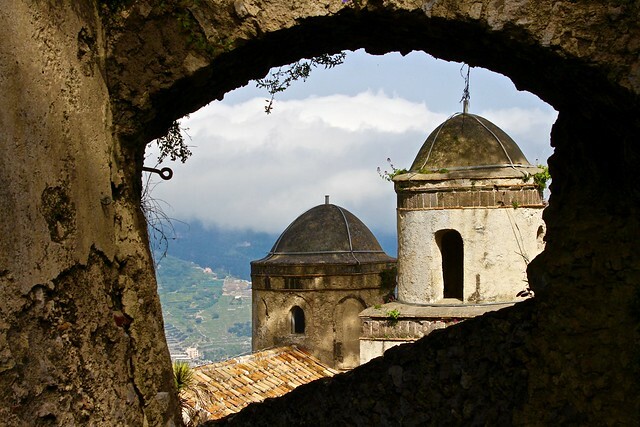 It’s been burnt to the ground and rebuilt, it’s trudged it’s way through war and felt the pain of merciless natural disasters. And through it all, the city has maintained it’s self described Southern Hospitality. 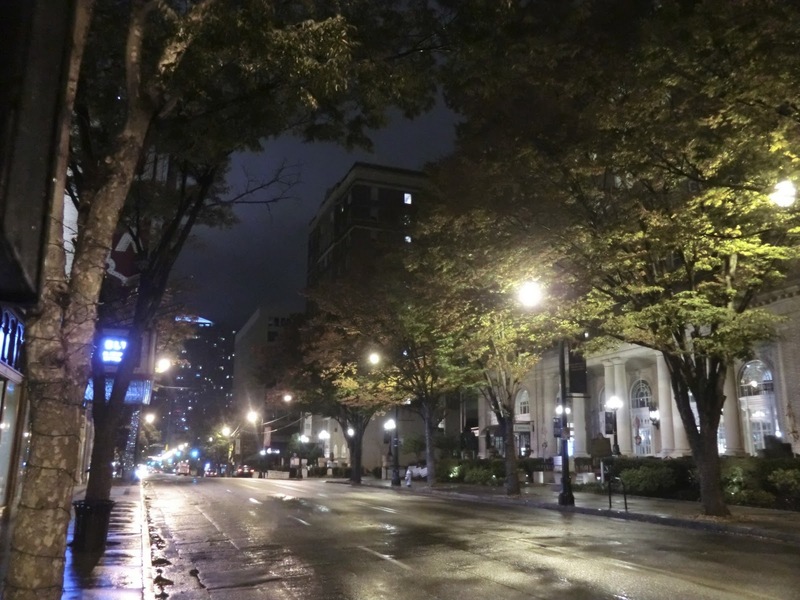 It seems at times that it is a city of contradictions, A city that oozes southern friendliness, old traditions and a desire to hold back the advancement of time. And on the other hand it’s a city striving for a sleek modernism, to be a leader of the Southern states, showing the way forward. There are so many things to see and do in Atlanta, I imagine it would be quite easy to write a new post everyday for a year and still not cover all the excitement and experiences that one could have there. Whether your interests are in Shopping (Buckhead and Little Five Points) or History (Martin Luther King Jr. Historic site, Stone Mountain Park and Atlanta History Center) and don’t forget the fantastic Georgia Aquarium, Olympic Centennial Park, World of Coca-Cola, or for you adrenaline junkies, Six Flags over Georgia. 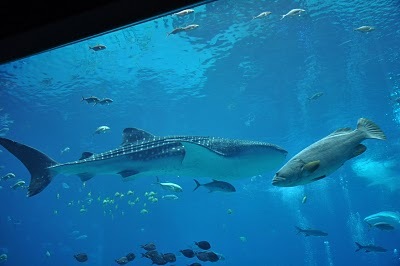 Although there is so much to do in Atlanta, I am going to share with you my suggestions for a great night out, whether your on a date, with friends and family or just by yourself. One of the great historical pieces to Atlanta is it’s music scene, all types of music can be found around Atlanta. Great venue’s like the Fox Theatre or small bars hidden away like a treasure waiting to be found, 5 star to dive bar, it’s your choice. 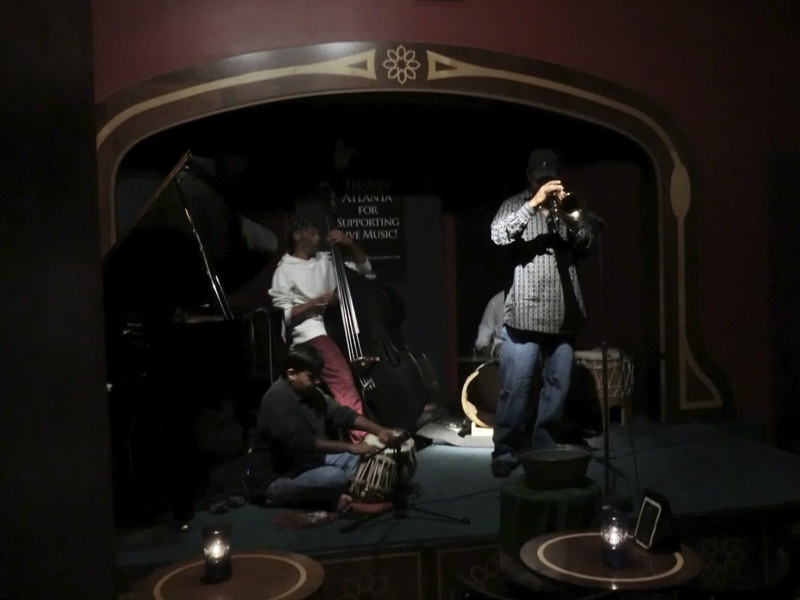 I love to listen to live jazz in a small, dimly lit smokey bar that just oozes powerfully talented musicians. Such was my night out, the night began with dinner at Publik Draft House in Midtown Atlanta. It’s not really a dive bar, nor is it a sophisticated cocktail house. But it is a real good bar and dinner hangout. Best Banger’s and Mash ever! A “Cheers” like local place that is jammed packed every night of the week. Serving some awesome food. If you go there, try to the Georgia Shrimp-n-Grits or what I believe to be the best Banger’s and Mash I have ever had. What’s that you ask? 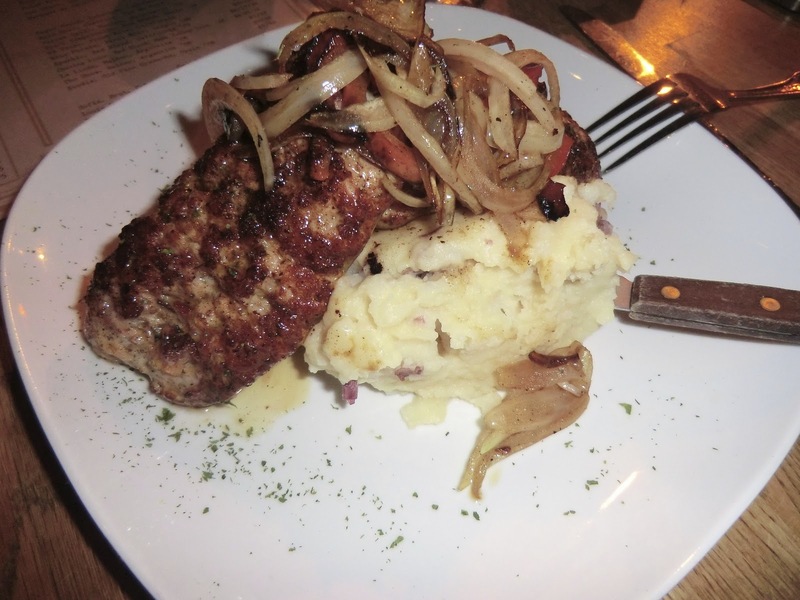 It is Sausage, Mashed Potatoes and sauté onions. But this dish at Publik is unlike any I’ve had before. Light and airy potatoes cover in a locally made chicken sausage that is cooked, spit open, caramelized and flavored with a hint of cajun seasoning. My mouth waters just writing about it. Other stand outs about Publik Draft House is it’s patrons, young, hip friendly and stylish, this is not just a place to go to, it’s a place to be seen at. 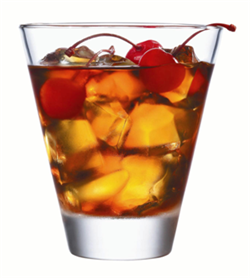 Along with my outstanding dinner was one of the best Manhattan’s I have had in a long time, made with a local southern bourbon that was smokey and mellow, smooth, yet with just a little bite to let you know there could be trouble later, if your not wise. And if your in the mood for a real treat, try the Absinthe, don’t know what that is? Well your in for a treat and perhaps some delusions. Absinthe is a spirit derived from herbs, including the flowers and leaves of the herb Artemisia Absinthium, commonly referred to as “Grande Wormwood”, together with green anise and sweet fennel. Absinthe traditionally has a natural green color but can also be colorless. It is commonly referred to in historical literature as “La Fee Verte” (the “Green Fairy” in French). Absinthe is usually diluted with sugar and water during the pouring process, which can be quite an elaborate event. Ok, enough about getting drunk, I’m sure your all very capable. After enjoying Publik I want you to walk out the door, turn to your left and walk about 50 feet or so. 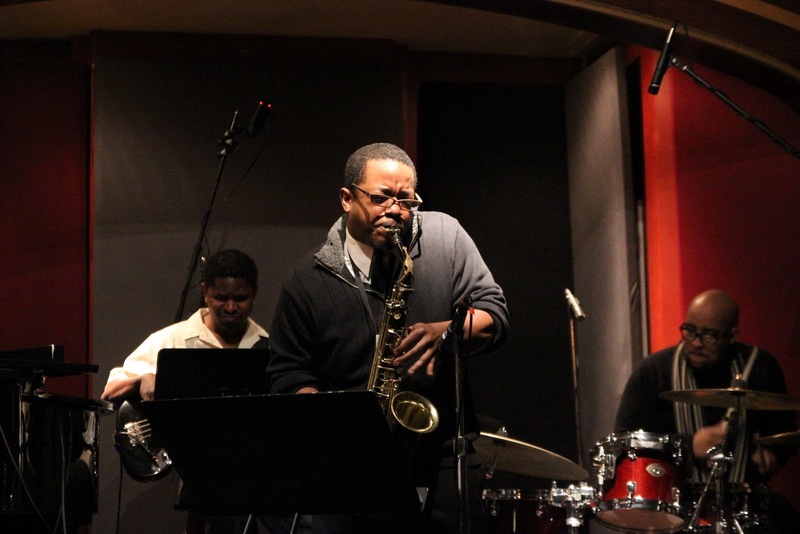 Now enter one of Atlanta’s historic Jazz clubs, Churchill Grounds. Churchill Grounds is all about the good life, their mission is to make sure we don’t forget the classics of days gone by. 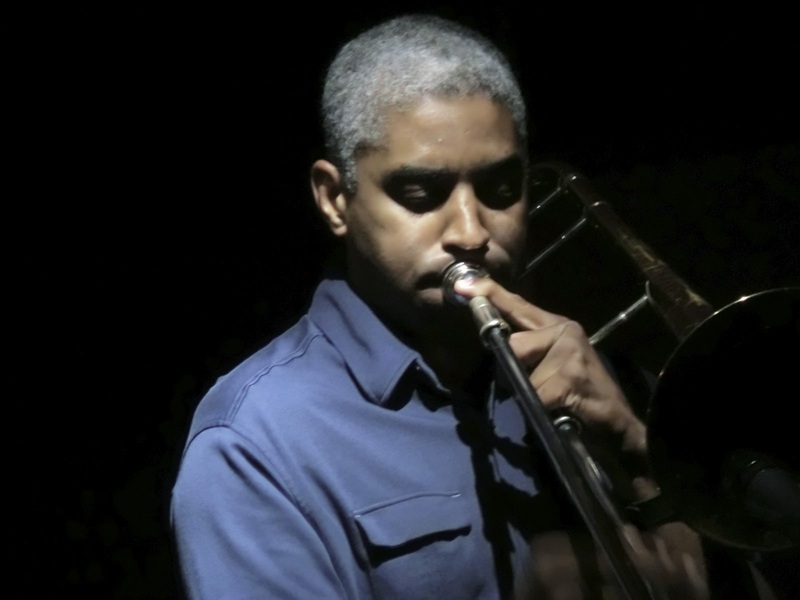 At Churchill you will not only watch some of today’s most talented, grammy winning musicians, you’ll also hear some of the local musicians playing their own compositions, sharing what are surely going to be today’s new classics. Jazz is one of the few forms of music that embodies sophistication, eloquence, passion, spontaneity and emotion to it’s audience. 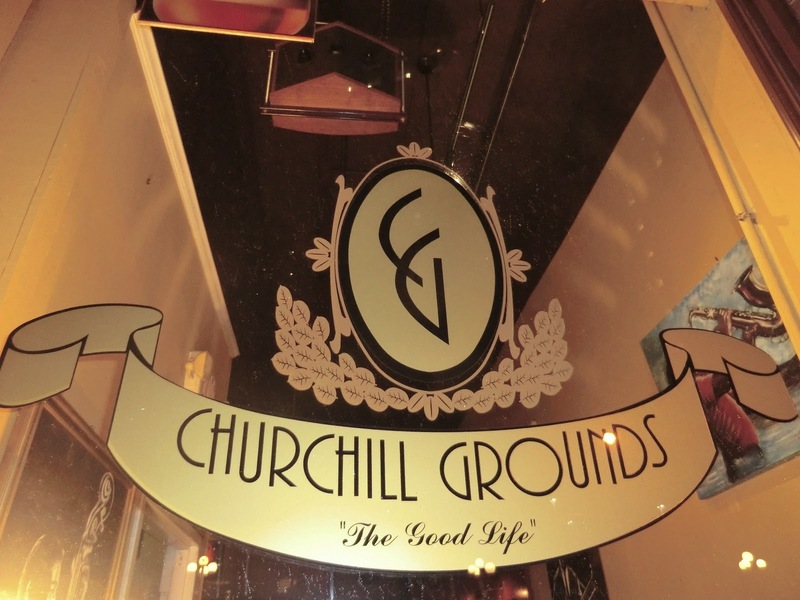 Very few Jazz Clubs do it like Churchill Grounds. Upon entering Churchill Grounds, it appears to be just another dive bar, but dig a little deeper, push aside the curtain you will find what hides. Next door is The Whisper Room, your next concert hall. Well not exactly it’s a small room with a bar and stage along with about 25-30 small tables to sit, sip and listen to some of the best musicians in Atlanta. I can’t say enough about this place, I’ve been here many times now and it never gets old, I suppose because it already is. It’s a throwback to the old time jazz halls. On some nights you might happen upon Grammy Winning musicians or maybe it will be open mic night where the locals jump out of the audience to play and sing, either way it’s a real treat. 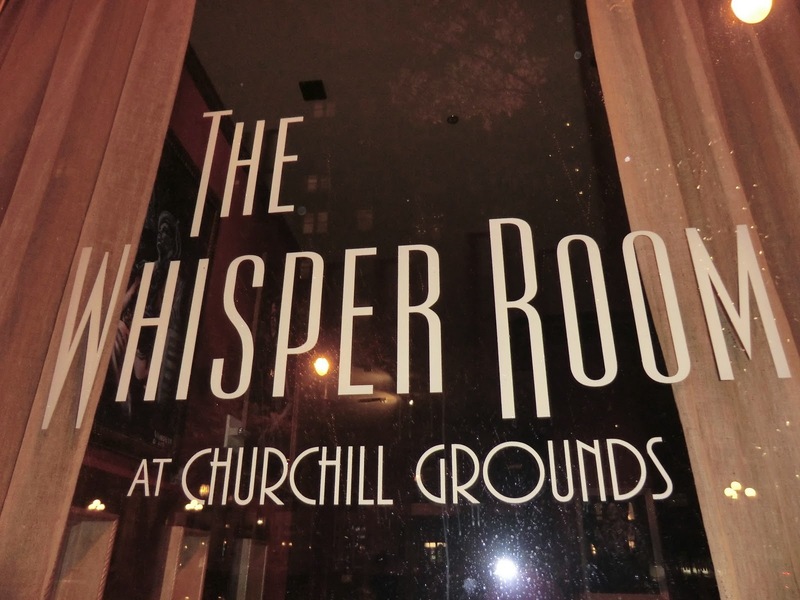 Sit back and soak up the vibe in The Whisper Room, the curtain opens at 9. From here I am going to recommend one last stop on your night out in Atlanta. 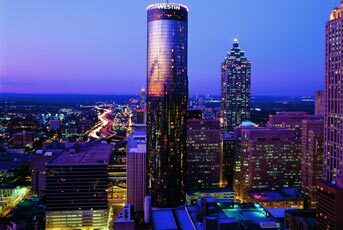 Now make your way to the Westin Peachtree Plaza in Downtown Atlanta. The cities tallest building has what is without a doubt the best view in the city. 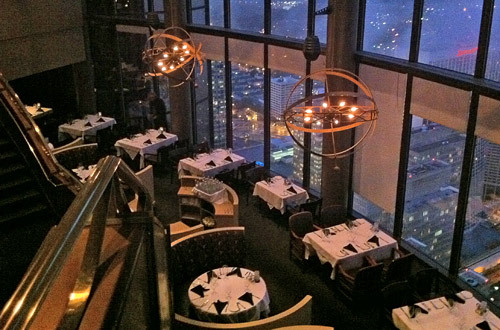 Make your way up to the Sundial Restaurant at the very top of the building, climb a short set of stairs to the Lounge and have a seat. The beauty of this place is that it rotates, just sit back and the city will come to you. It’s quiet enough to carry on a conversation and yet cozy enough you’ll feel like it’s just you and your guest. It is difficult not to find yourself just staring out the windows in awe of the city at night. This is a really great night out in Atlanta, there is no better time to get your grove on and have some fun.